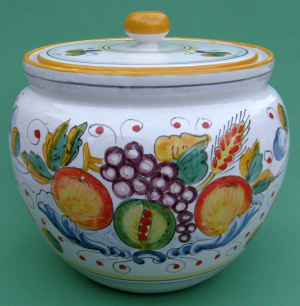 Our Frutta Miele Italian Ceramic pattern is wonderfully decorated with a bounty of fruit. 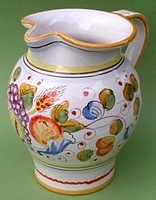 "Miele" means honey in Italian. This pattern has an autumn feel with its green, golden yellow and orange accents. 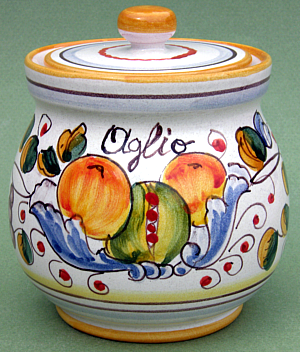 Shop & compare our beautiful artisan Frutta Miele ceramics, which are hand painted and directly imported from Deruta, Italy by our company.